Do you live in Destin? Located on Florida's Emerald Coast, Destin is known for its white beaches and emerald green waters. Originating as a small fishing village, it is now a popular tourist destination. According to theFlorida Department of Environmental Protection, over 80 percent of the Emerald Coast's 4.5 million visitors each year visit Destin. The city styles itself "The World's Luckiest Fishing Village", and claims to have the largest fishing vessel fleet in the state of Florida. Condominiums were first built in Destin during the 1970s, although Destin was not incorporated as a municipality until 1984. The city has experienced rapid growth since the 1980s. 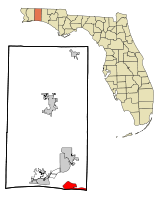 Destin is near several other cities in the region. The city of Fort Walton Beach is located to the west at the inlet of Santa Rosa Sound into Choctawhatchee Bay. North of Destin, across the bay is Niceville, with the Mid-Bay Bridge linking the two by road. Panama City (to the east) and Pensacola(to the west) are each about 50 miles (80 km) away. At the western tip of the peninsula is East Pass (also known as Destin Pass), separating it fromSanta Rosa Island to the west. East Pass is the only outlet of Choctawhatchee Bay into the Gulf of Mexico, Many sources claim that the pass was dug by hand with an inrush of water widening it within hours. The pass appears in early maps and surveys from Spanish, French, andEnglish surveyors, such as Thomas Jefferys's 1775 map The Coast of West Florida and Louisiana. Frequent dredging is required to keep East Pass navigable. "Crab Island," was actually two islands made from sand that the Army Corp. of Engineers dredged up from the East Pass. These islands were large enough to inhabit sea grass, small shrubs and nesting seabirds. It has been reduced to a significant sandbar, which appears only when the tide is out. It has become a popular anchorage in the area. The entrance to Destin Harbor, a lagoon between the beaches and the main body of the western portion of the peninsula, is located just north of the East Pass jetty. The lagoon is formed by a sand spit named Holiday Isle; many condominiums have been built along the harbor since the 1970s. According to the United States Census Bureau, the city has a total area of 8.2 square miles (21 km2), of which 7.5 square miles (19 km2) is land and 0.6 square miles (1.6 km2) (7.95%) is water. Destin is located at 30°23′36″N 86°28′31″W.